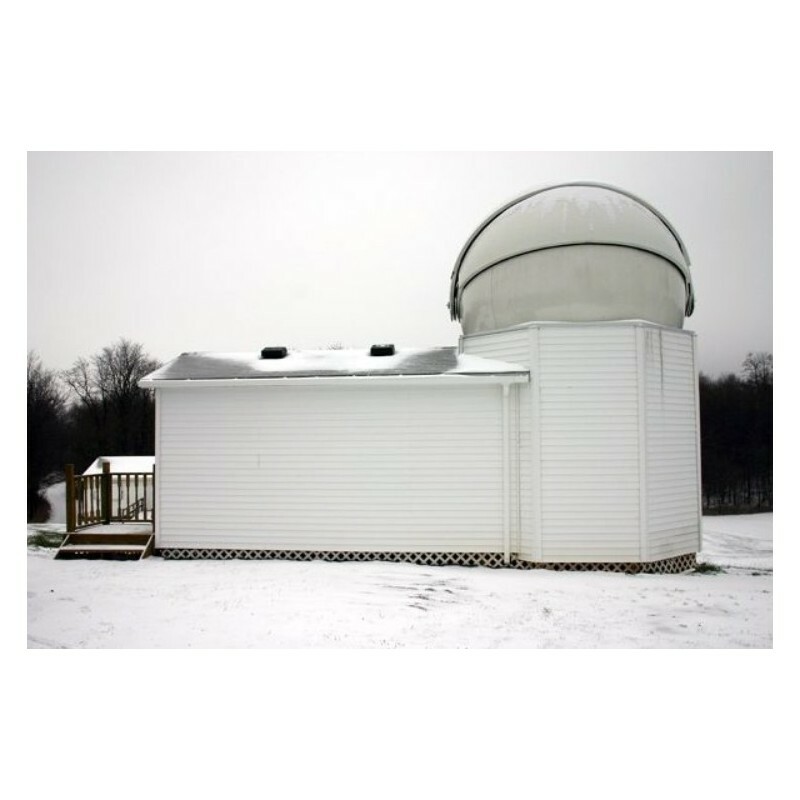 12-foot diameter high quality fiberglass clamshell domes are recommended for educational and commercial use, for several observers, or when you just need ore room for your stuff. For larger instruments the 12-foot dome may also be fitted with a 12 inch base "risers". A powered opening system that allows push button control or computer interface is included. 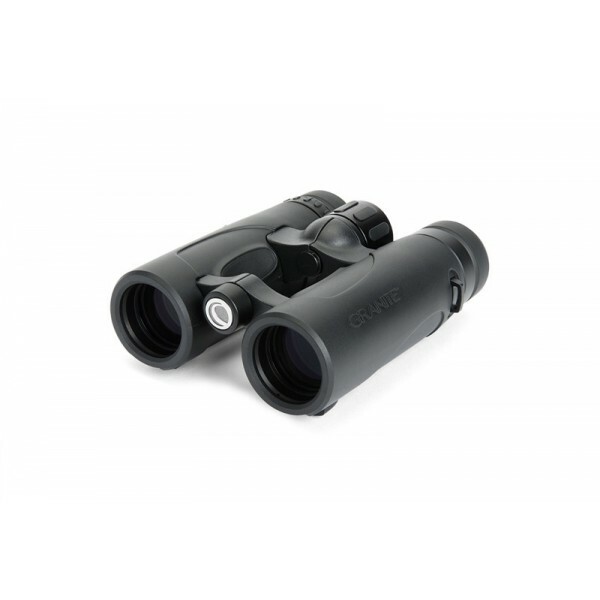 It opens to any configuration and for celestial viewing may not have to changed all night, eliminating the cost of constant dome rotation. 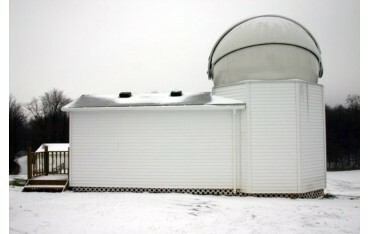 The 12-foot astronomical observatory is popular for all applications. It is widely used for robotic operations housing larger instruments. All our clam shell designs minimize cost of ownership by reducing complexity and allow full opening to enjoy the night sky or achieve immediate thermal equilibrium. Ingress/egress is over the side, through an optional hatch, or from below when mounted on top of a structure. Boat stairs, or custom made stairs may be used for installations on the ground. 12 foot domes are found in various applications worldwide with all kinds of installations. In either case the installation is a snap. Just bolt the lower flange of the dome to a concrete pad or a structure that is isolated from your telescope pier. 12 foot domes ship on one skid and require approximately 6 man-hours to assemble. 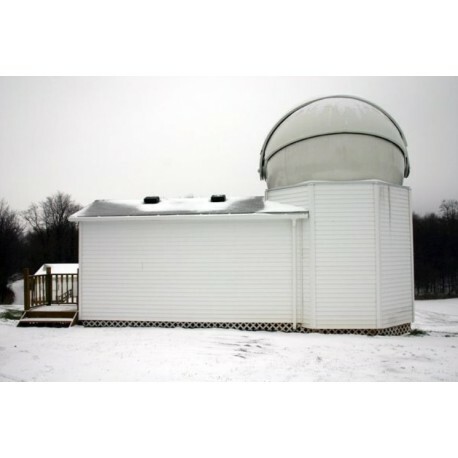 These astronomical domes weigh only 550 lb. and the shipping weight is approximately 1000 lb. in a crate that is 7' high x 7.5' wide x 13' long. All parts are labeled and assembly instructions are included. The latest 3-D design and CAD tools are used to engineer the best design and assure the utmost quality. Although white gel coat exterior achieves the best UV protection, domes are frequently ordered in a variety of colors. Black is the standard interior color.